High reaches of Himachal Pradesh experienced moderate to heavy spell of snowfall today, disrupting normal life in the State partly however down-streams got light drizzling and remained overcast till this afternoon. The reports arriving said that high reaches of Kullu, Keylong, Chamba, Kinnaur and Shimla experienced light to moderate fresh snowfall today. Keylong got 20 centimeter fresh snowfall. No Emergency sorty could operate between snowbound of Lahaul Spiti district today and it had been cancelled tomorrow due to inclement weather. The gateway to Lahaul Spiti 13050 ft high Rohtang Pass, Kunzum Pass, Lady of Keylong, Seven Sisters hill, Goshal hills also reported frequent spell of snowfall today. 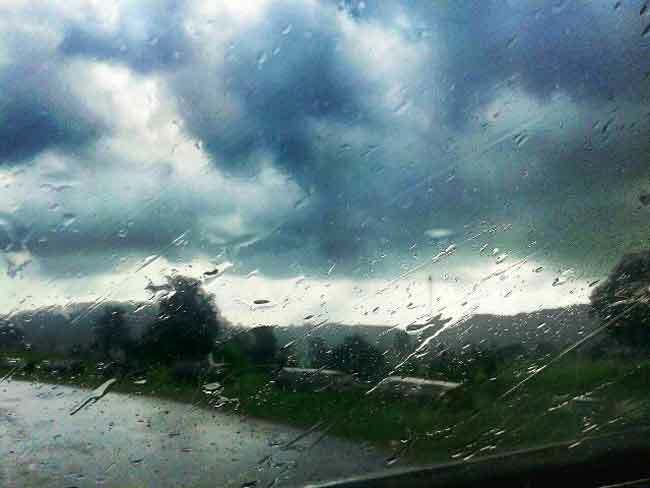 High reaches of Kullu got mild spell of fresh snowfall and downstream lashed with rainfall. Tourist resort Manali recorded around 20 mm rainfall and moderate to heavy snowfall on the high reaches. Seobagh of Kullu got 4 mm rain, Bhuntar 3 mm and Manikaran 2 mm. Chief Minster Mr. Virbhadra Singh who was scheduled to take Helicopter from Annadale ground to Kullu had to take land route as chopper could not take off due to overcast and inclement weather in the State. It was snowing at Reckong-Peo, district head-quarter of Kinnuar today. Met Office said that Kalpa got 9 centimeter snowfall till 1630 hrs today which continues till now. However the vehicular traffic on National highway 22 and other link roads was normal today. The minimum temperature of Shimla improvised as Keylong was coldest with minus 4 degrees, Kalpa 0 degree, Manali 4 degrees, Dharamshala, Sunderngar and Solan 7 degrees each, Shimla and Bhuntar 8 degrees each, Una 8.6 degrees, Kangra 9.8 degrees and Nahan 11 degrees respectively. The Met office warned of heavy rain or snowfall likely to occur at few places in mid and high reaches and heavy to very heavy snowfall at isolated places in the next 48 hrs and heavy rainfall at many places in the mid hills and foot hills.